▪Fellow ℃-ute member Hagiwara Mai shared this 2-shot of herself and Maimi in her update on the official ℃-ute blog yesterday. 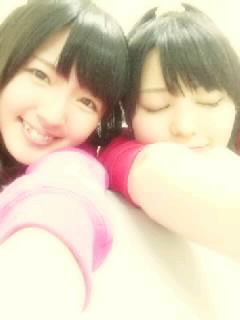 In addition, Mai wrote that her and Maimi get along well, and joked that it might be destiny. ▪Fellow ℃-ute member Suzuki Airi first posted this 2-shot with Maimi and followed up with a 3-shot that turned into a group shot in her update today on the official ℃-ute blog today. 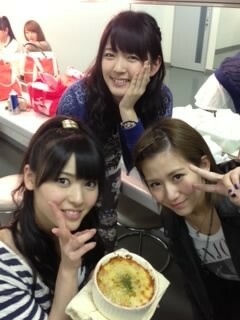 Posted on March 29, 2013, in Articles and tagged Hagiwara Mai, Suzuki Airi, Yajima Maimi. Bookmark the permalink. Leave a comment.